According to a recent study, in households that don't have an adequate number of insecticide-treated bed nets, pregnant women and children under the age of five are the most likely family members to sleep under the ones they have, leaving men and school-going children more exposed to malaria. The findings of the study were published in the Malaria Journal. The study also showed that when households have an adequate supply of treated bed nets, one for every two members living under the same roof, these gender and age disparities shrink. However, the new research found that across 29 countries in sub-Saharan Africa, on average, only 30 per cent of households have enough bed nets, ranging from 8.5 per cent in Cameroon to 62 per cent in Uganda. "The good news is that we have succeeded in protecting some of the most vulnerable people - pregnant women and young children - from malaria. Now, we need to go even further to provide enough nets for everyone else," said study author Bolanle Olapeju. 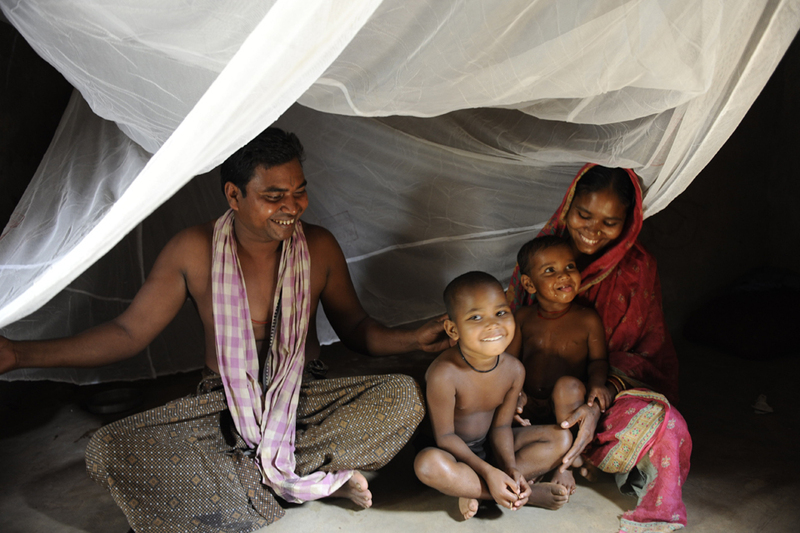 Mosquito nets are draped over a bed as a barrier against bites from mosquitos and the diseases they carry. The nets do double duty in that they are treated with an insecticide that kills many of those mosquitos that land on them. Under the global effort to prevent malaria in sub-Saharan Africa, nearly two billion have nets have been distributed for free since 2004. Nets don't last forever and must be replaced roughly every three years. The most common way that nets are distributed is through what is known as mass campaigns. Nets are also provided through health clinics to pregnant women, during vaccination of small children and through school-based campaigns in some countries. For the research, Olapeju and her team analysed data from Malaria Indicator Surveys and Demographic and Health Surveys conducted in sub-Saharan Africa between 2011 and 2016. This analysis allowed them to determine patterns of net use both when there was an adequate number of bed nets in a household and when there were not. "Once you get more nets into households, age and gender disparities shrink, so we need to keep reminding policymakers of the importance of getting nets to as many people as possible. It's one of the best ways we have to prevent malaria," said Olapeju. Whether there was an adequate number of nets in the home or not, however, the researchers found that those who were least likely to sleep under nets were school-aged children, those from ages five to 14. The researchers say this is concerning because even though this group is less likely to suffer from the symptoms of malaria, these children are more likely to have asymptomatic malaria which can still be spread to others by mosquito bites.